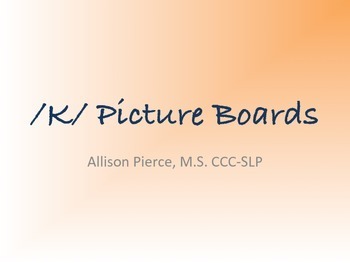 3 pages of pictures to use when targeting the /k/ sound in speech therapy. 1 initial /k/, 1 medial /k/, and 1 final /k/. Each pages features 15 words for the target sound. Cute, modern pictures! Great for "homework" use! 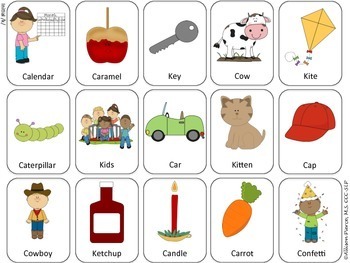 SLP Tip: For my personal use, I have a notebook for each sounds and include these in my /k/ notebook. Laminate and/or use sheet protectors for longer shelf life! Enjoy!